Gib Yardley says Conclusion is the best Meyer 734 son available. 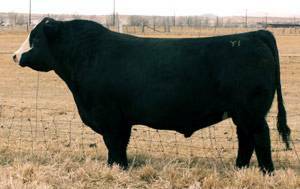 Conclusion definitely comes from a tremendous Angus cow family, the famous Forever Lady! Conclusion is making excellent progeny in both sexes at Yardley Cattle Co.